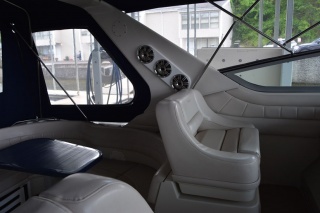 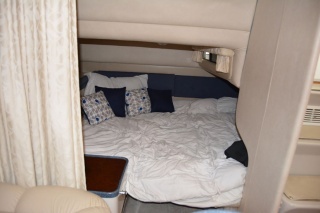 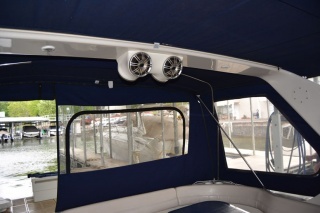 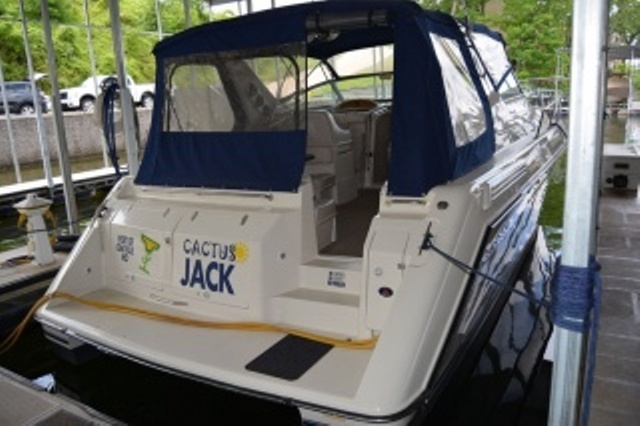 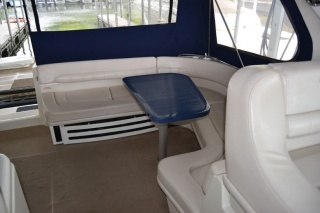 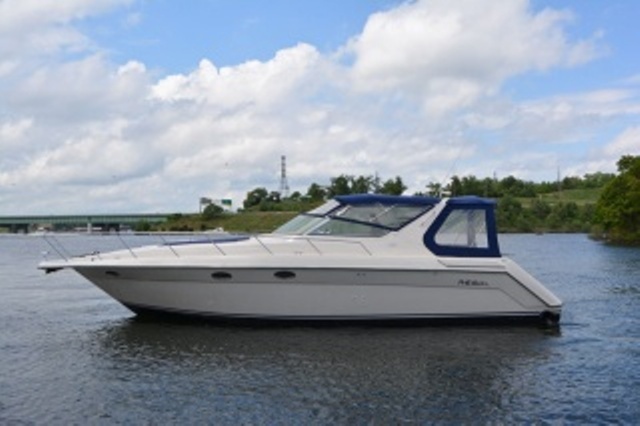 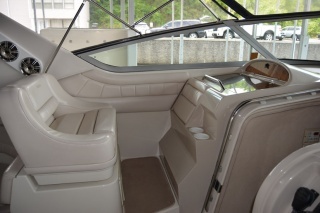 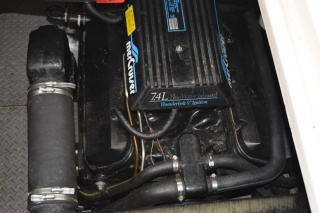 Very popular updated boat with a great layout and ample room. 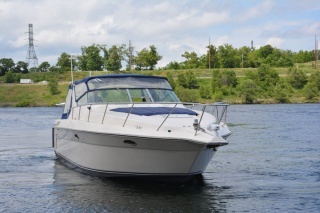 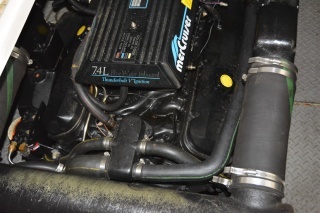 This freshwater cruiser is in great shape with a fresh buff and wax, and bottom paint. 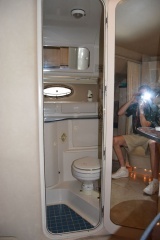 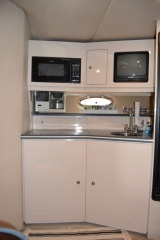 Accommodations: Stateroom with queen sized berth, mid-cabin queen berth, electric head with separate enclosed shower, upgraded Pioneer stereo system, and TV-DVD combo. 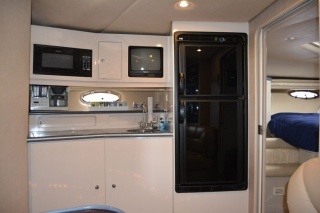 Galley: 2-burner range, microwave, refrigerator/freezer, sink, and dinette. 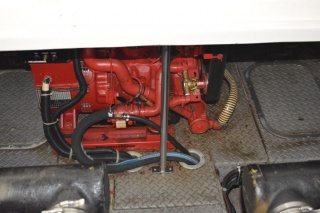 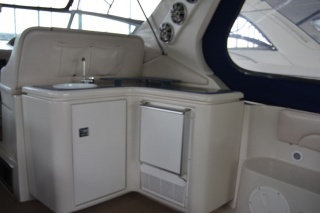 Elec/Mech: A/C-heat, windlass, depthfinder, synchronizer, trim tabs, halon, closed cooling, water heater, and battery charger. 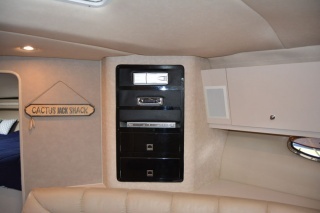 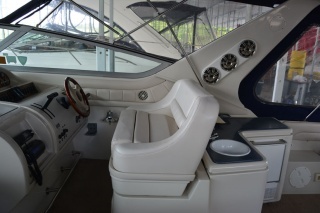 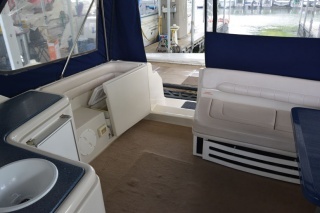 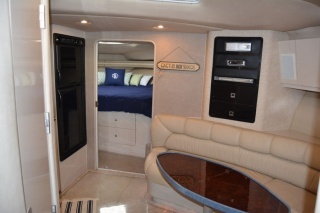 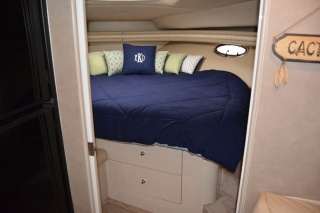 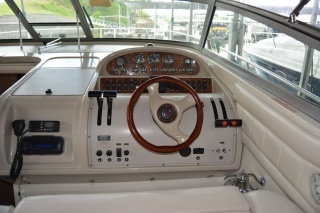 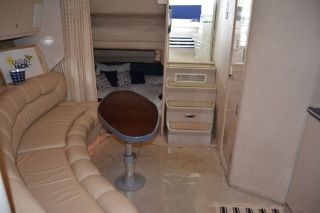 Deck/Hull: Pulpit/anchor, compass, dock power, windshield wipers, swim platform, spotlight, wet bar/icemaker w/sink, freezer and flat screen TV in cockpit, bimini top, camper enclosure, and new cockpit carpet.